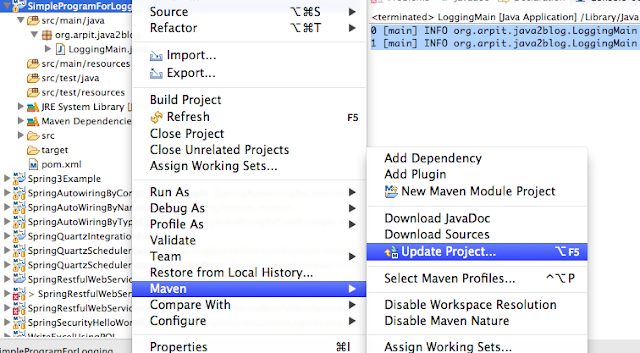 There are two ways, you can do logging using log4j. 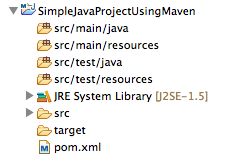 1) Create simple maven java project. 2) Put log4j entry in pom.xml . This file is main file for log4j configuration. It has information about log levels, log appenders. If you want to log to console, you need to have following lines in log4j.properties. If you want to log to console, you need to have following lines in log4j.properties and also you need to provide log file name too. Bingo!! we have successfully configured log4j using properties file in maven project.